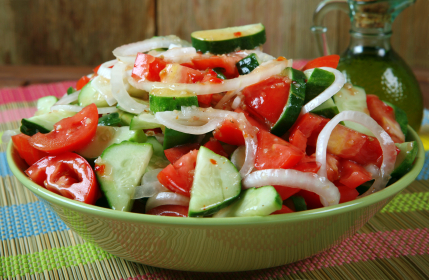 Begin with the Cucumber and Tomato Salad, I use the long green onions instead of slicing a whole sweet onion for this dish. You will need one whole bottle of Garlic Expressions. Add about 1/2 cup diced ham or meat of your choice (pepperoni etc) sometimes I use both. Combine all and toss gently. This is one of those that gets better with age so you can make it the day before. Want it extra special? 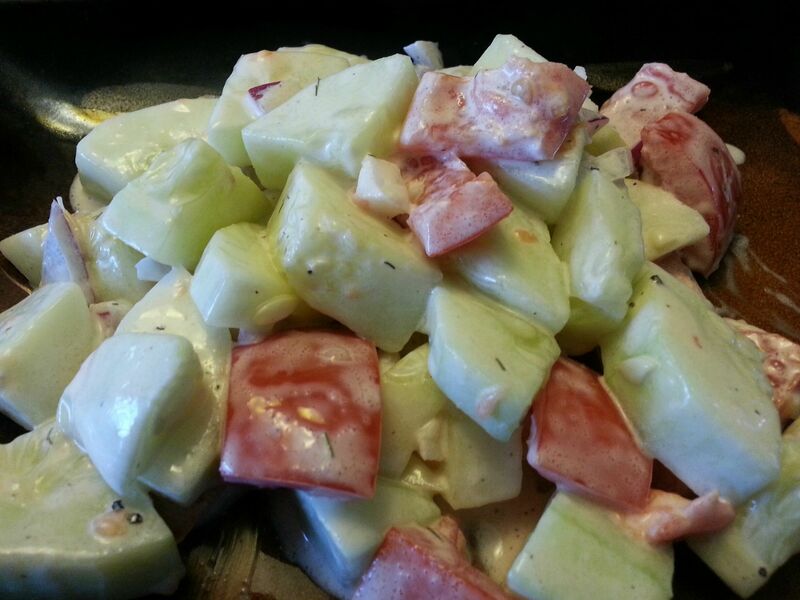 Try adding some small cubes of pepper jack cheese, or a blended herb and garlic cheese. Also, really goes over well at potlucks etc.! You can easily double or triple the recipe and make a huge batch. Just remember to buy enough Garlic Expressions if you do! The sauce definitely makes this special! Old fashioned goodness. My mom and granny used to make this. peel and slice 4 large cucumbers. thinly slice 1 small sweet onion. you can add tomatoes or not. sprinkle about 3 tablespoons granulated sugar over all. toss lightly and then add about 2 tablespoons apple cider vinegar and toss. stir in about 1 cup (more or less to taste) miracle whip or mayo (your preference), let this stand over night or at least for a few hours to form the wonderful sauce. Home grown goodness! This is easy to make ahead. You can make it the day before and keep it refrigerated. 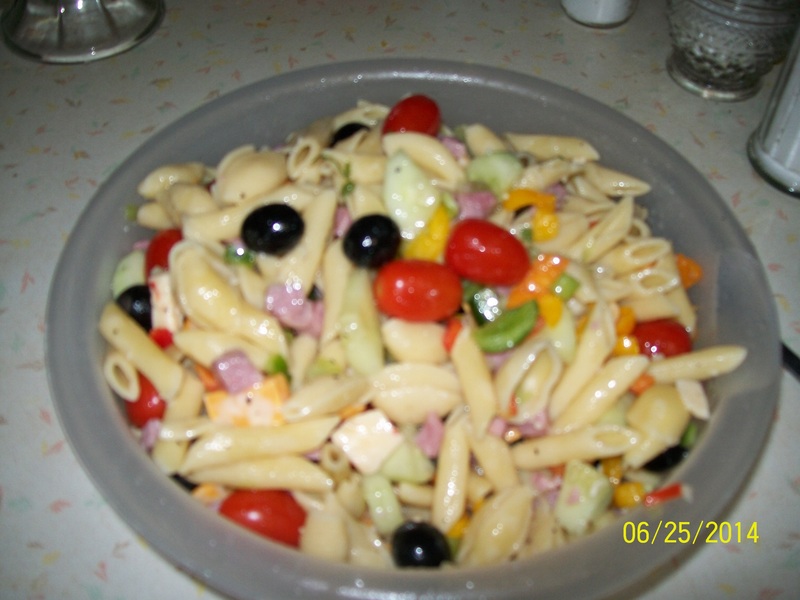 This is also the basis for my Italian Pasta Salad. toss together til thoroughly coated and sugar is dissolved. if you keep it overnight in refrigerator you can add more Garlic Expressions if necessary and toss it again. But I normally have to add more of everything because it just doesn’t last in my house! Let others know what you have tried!